The Delta ShopMaster S26-263LS 10" Compound Sliding Miter Saw features an amazing 13" cross cut capacity. 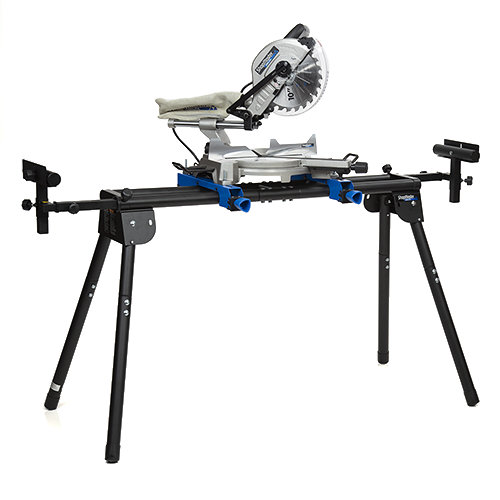 Experience the capability to complete many woodworking projects with our powerful and dependable 15-amp motor and Universal Folding miter Saw Stand. From its front lock control system with 10 positive miter stops to the new and improved laser cut line indicator, the S26-263LS precision is top tier in its class.